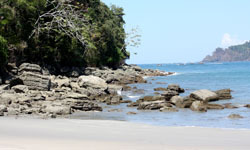 Rated one of the world’s top ten beaches, Manuel Antonio is perfection. Backed by mountains, this Pacific coast beach is a half-mile long crescent of white sand edged with mangroves and palm trees. While an ideal place to unwind, you can also visit the surrounding Manuel Antonio National Park, home to rare Squirrel Monkeys, Howler Monkeys, sloth, armadillos, coatimundis and more. 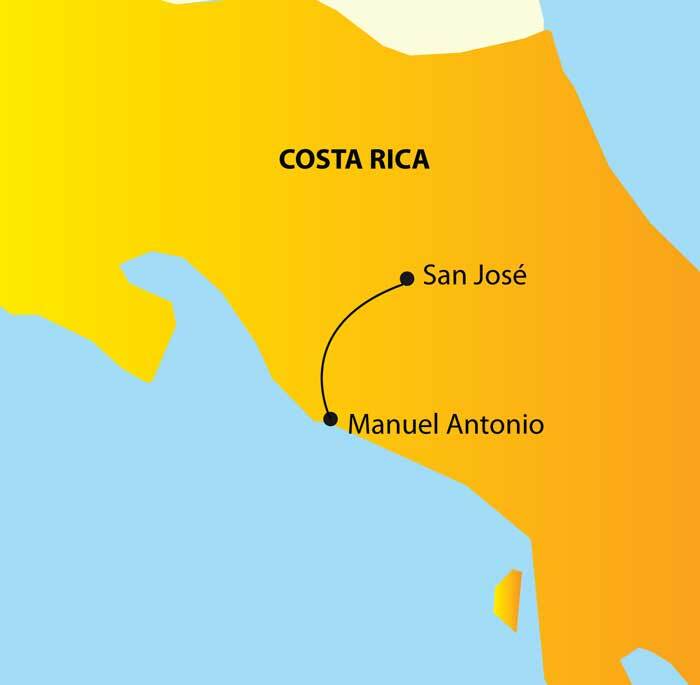 The next 2 days are free to relax and enjoy the hotel’s facilities, swim and sunbath on one of the country’s best beaches or take an optional walk through fascinating Manuel Antonio National Park. We drive back to San José’s airport for your return flight. Price varies by season. Contact us with your specific travel date. Upgrade to Fly & Drive option available. Ask for details.